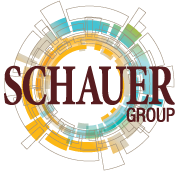 For Schauer Group risk management clients, we follow a customized, strategic process in order to understand our clients’ businesses and deliver trusted risk management guidance. We don’t just sell insurance policies; we immerse ourselves in our clients’ businesses to proactively reveal risks and protect their assets. By focusing on long-term relationships and partnering closely with our clients, we act more like risk management advisors than insurance brokers—offering dependable knowledge, guidance and advice our clients can trust long after enrolling in a program. To deliver on our service promise, our people meet the highest industry standards. Education is at the foundation of our company, and our talented team of associates seek advanced designations/degrees in insurance and/or business. 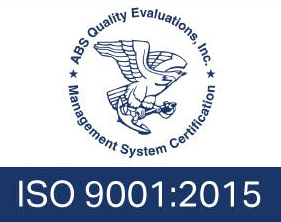 This advanced education coupled with our time-tested risk analysis process supports a culture of first-class client service. Step 1 – Identify client goals and risk exposures. Step 2 – Develop a strategy around client goals and exposures. Step 3 – Execute the strategy. Step 4 – Continuous improvement and monitoring. 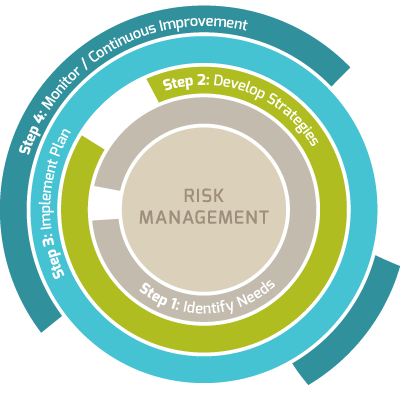 We invite you to take a more robust look at our risk management process, along with reviewing our expertise in insurance, human capital services, employee benefits and surety service areas. Our industry-leading 95-percent client retention rate says a lot about how we do business. The level of service we provide at Schauer Group differentiates us from our competitors. We are risk advisors and we take seriously the trust our clients put in us. We achieve our high client retention numbers by focusing on the needs of our clients first. Our clients want timely service, accurate guidance, top-rated insurance company partners, claims support, and competitive costs. We deliver. We build long-term relationships with clients and communicate with them during the year on insurance and risk management trends, and external and internal factors that might impact coverage needs, not just 90 days before renewal time. Schauer Group is honored to be the nation’s first ISO Registered Independent Insurance Agency. It means we have meticulous processes, and strictly follow and document them. The result is that any of our team members can help you at any time. Whether you need business or personal risk management support, our ability to provide honest, reliable and timely advice is the backbone of our approach to client service.